Below is an interview I had with Lauren Blose about the event and her involvement. Enjoy! 1. Where was the event? 2. What club did you do it through? The Health and Exercise Science Club and the Rec Center co-sponsored this event for the 2nd year in a row. Volunteers from the club and Rec Center employees coordinated the event and donated to the cause. The Rec Center has coordinated a 5K Turkey Trot Run in the past, which raised money for the Rec Center. Last year we decided to change it to a charity event to raise money to donate to a charity of our choice. Last year all proceeds went to the American Heart Association. This semester, at one of our Health and Exercise Science Club meetings, I asked our members if they had an organization or cause they were passionate about donating to. Someone mentioned Autism as a suggestion, no one opposed so we decided to help the South Jersey Chapter of Autism Speaks this year. 4. What steps did you take to plan and advertise the event? 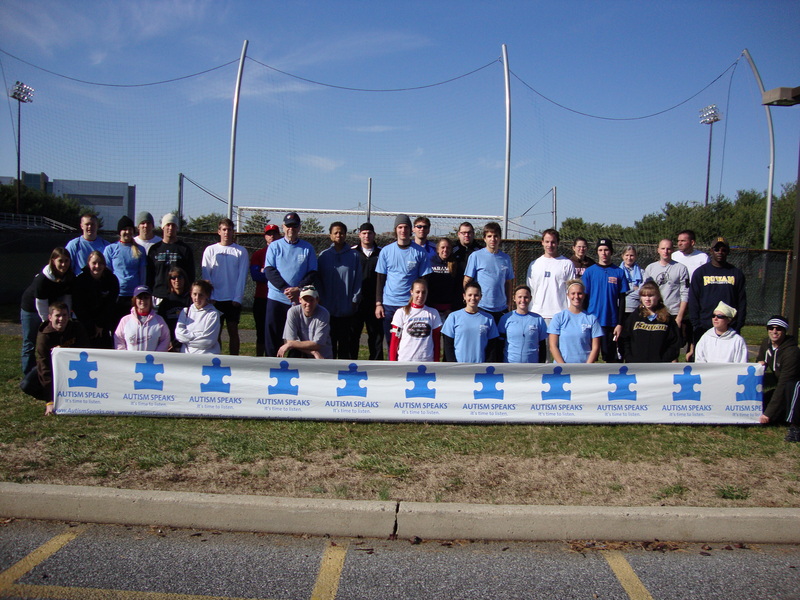 First, I contacted Autism Speaks of South Jersey to inform them of the event we were having to support their organization. They were very pleased and sent out a representative to speak to our club during one of our meetings. Christina Carty was the representative I was in contact with. She spoke to our club about what Autism Speaks does, as well as information about Autism in general so we better understood what a great cause we were raising money for. I sent out emails to everyone in our major while Kevin George had it posted on the Rowan Announcer for a few weeks prior to the event. Flyers were also posted around campus and in the Rec Center. I also sent out messages on Facebook to request volunteers, donations and runners/walkers. This was the first year we opened up the event to non-students and non-Rec members as well to try to bring in the most runners/walkers and donations. I coordinated volunteers and their duties during one of our club meetings prior to the event. 5. Will there be another event like this one? I will proudly be passing this event on to next year’s H.E.S. Club President to coordinate with the rest of our Executive Board and Rec Center employees. I’m hoping to come back to Rowan as an Alumnus and participate in next year’s 3rd Annual 5K Run/Walk for a Cause. 6. Can you describe the event? This year we had 29 runners/walkers come out to support the cause. The course began outside of the intramural field and looped around campus. A volunteer was at each turn of the course to direct participants where to go. 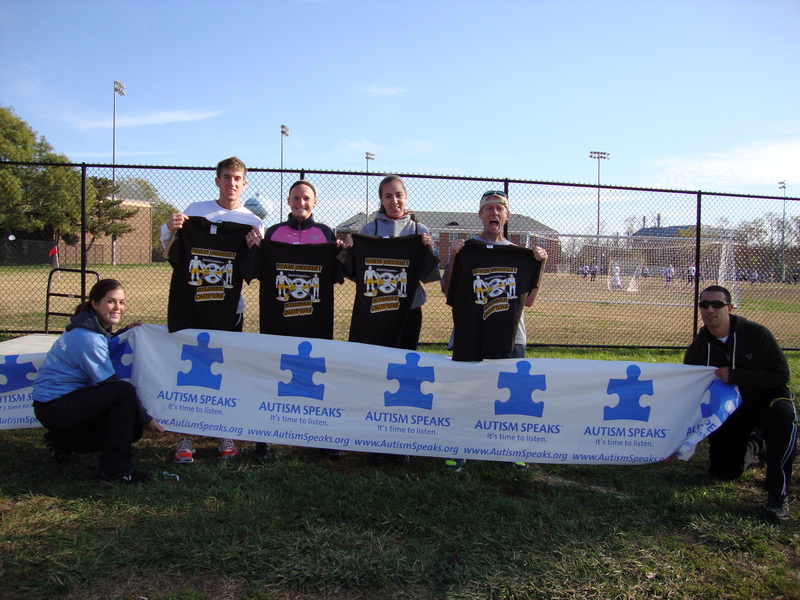 Each participant paid $15 to register prior to the event and received a t-shirt. Donations were also taken the day of the event. Intramural Championship t-shirts were awarded to the winners of the following categories: women’s student, women’s non-student, men’s student and men’s non-student runners for 1st place. 7. How did you and others feel after the event? Upon completion on the event, I was proud to hear “thank you’s” and compliments from some participants before they departed. They seemed to really support the cause and one runner in particular expressed to me that her younger sister has autism, which is why she decided to get involved with the event. The volunteers were very helpful and overall, it was a great success. 8. How much money (if any) did the event raise? $470 will be donated to Autism Speaks. To contact Lauren about the event or future events you can email her at blosel14@students.rowan.edu.